Apollo (formerly known as “Black Beauty”) is a very handsome Lab mix, and he knows it! His black fur almost glistens and he sports chocolate highlights to boot. He is very eager to please and will listen to anything you say (as long as you have a treat in hand!). He is definitely a ladies man when it comes to other dogs and would love to have a canine sister in his future home. No brothers though, as Apollo does not like to share the spotlight with other males. He loves going on long walks around the yard and his favorite pastime is curling up in the lap of the nearest human. Striking looks and lots of love, what more could you ask for?! His life wasn’t always this glamorous. Apollo was struck by a vehicle on Route 291 back in early December and our Animal Control officers quickly rushed him to the vet. 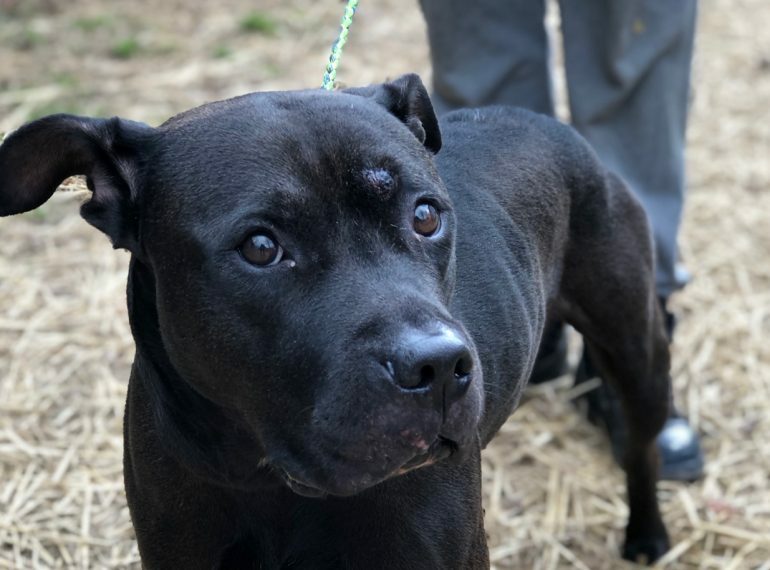 He suffered a few bumps and bruises that quickly healed, thanks to the care provided by our shelter staff, and now he is ready to find his forever home! Are you ready to walk the “catwalk” out of our shelter with this handsome man? If so, please fill out our online adoption application or visit the Shelter. 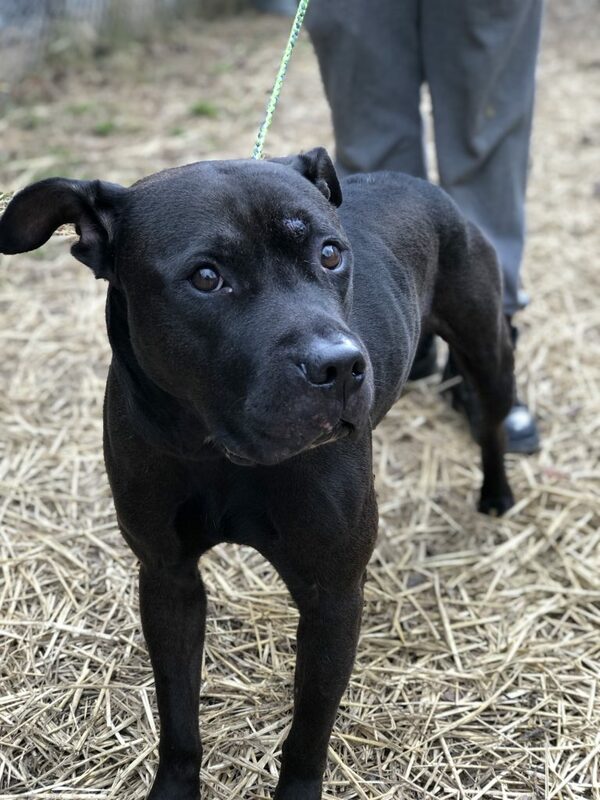 For more information about Apollo and our other adoptable pets, please click on the Adopt menu above where you will also be able to complete our online adoption application. Or simply click here to go straight to the adoption application.